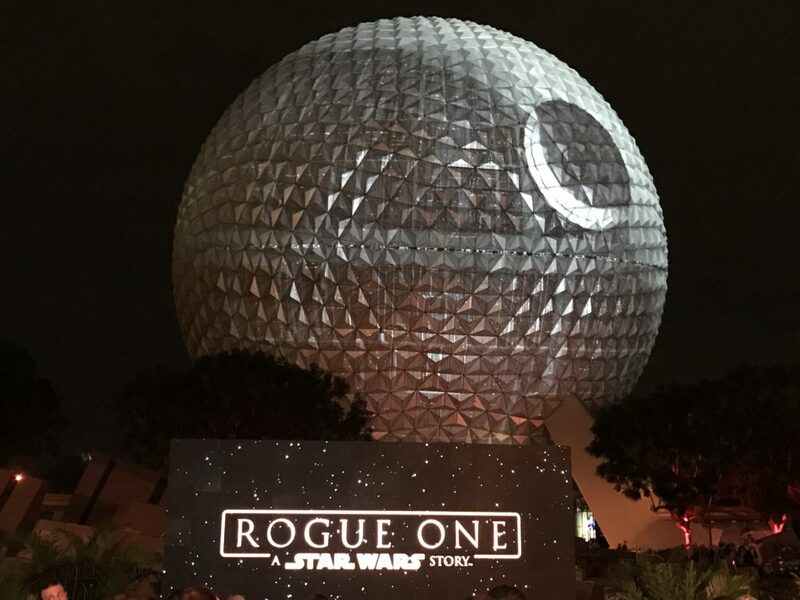 On December 5th, 2016, during the big media event where Spaceship Earth was temporarily turned into the Death Star, some upcoming enhancements would be made to Disney’s Hollywood Studios, including a seven hour Star Wars Tour. 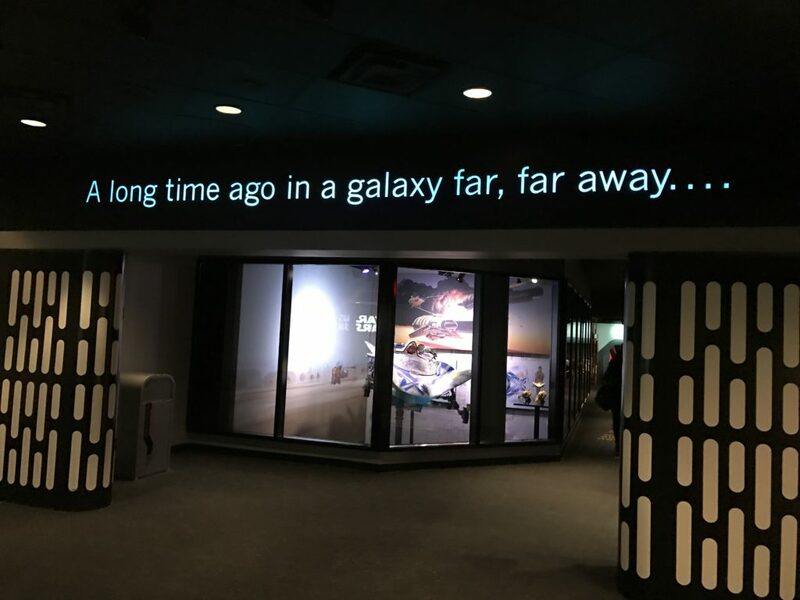 Now, I have done tours from one coast to the other but a seven hour Star Wars Tour sounded like a must do! 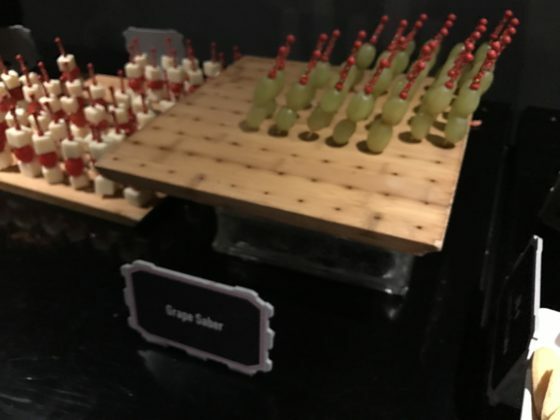 As more and more of the events that take place during the tour started to be revealed, I started to question if there could possibly be enough to fill seven hours. Well, I found out. 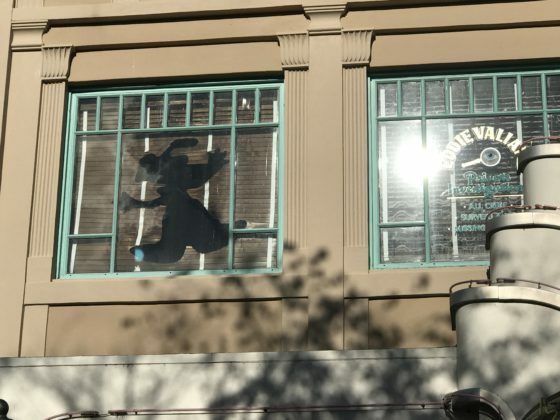 On Monday, January 9th I was able to take part in only the third Star Wars Guided Tour after the first two sold out in less than a few hours of going on sale. 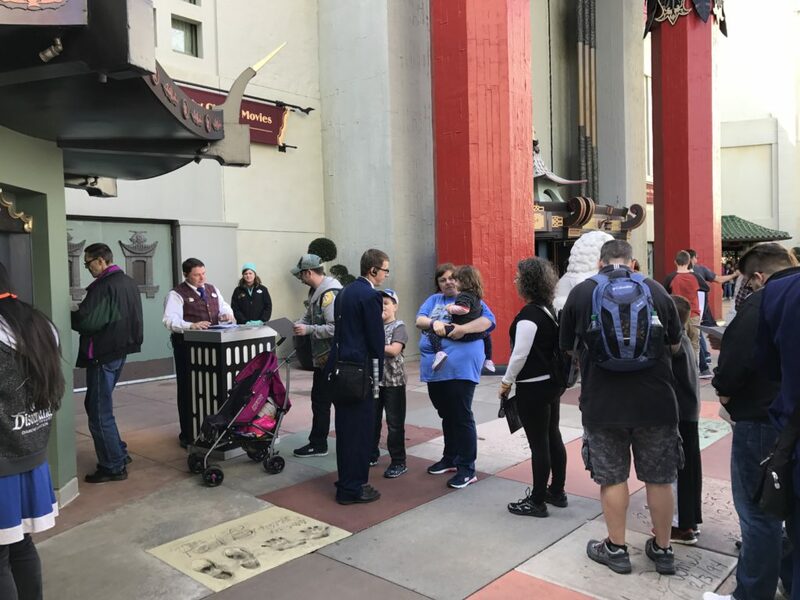 Check-In took place in the shadow of the replica of the Grumman’s Chinese Theater — really where Star Wars began on May 25th, 1977. 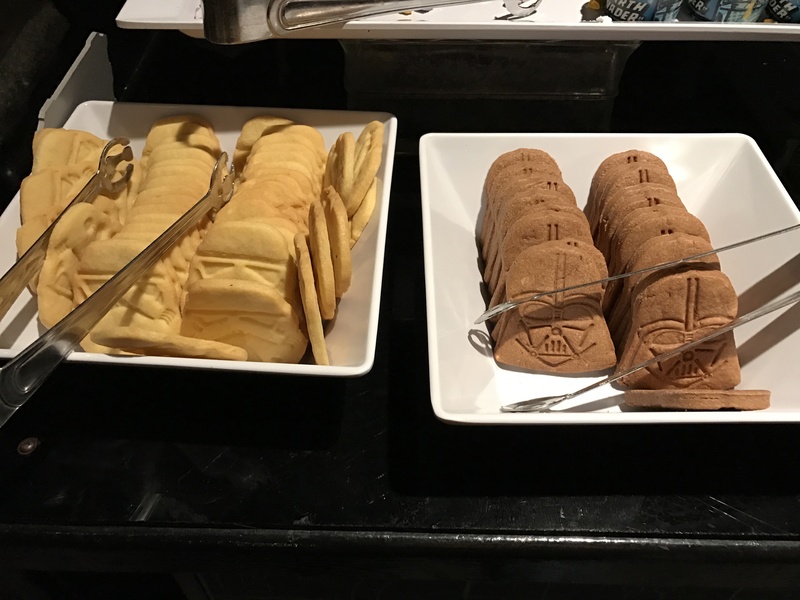 There we were issued our credentials, a name tag with our name in Aurebesh (the alphabet of the Galactic language), and were able to pick which meal we would like for dinner. 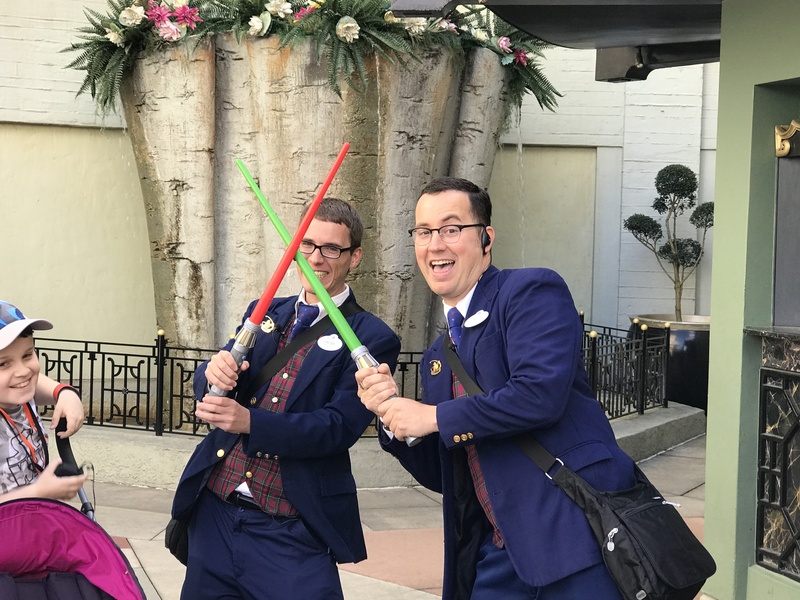 Once all 30 guests were checked in, our guides Jason, who wrote the tour, and Freddy introduced themselves and had each of us do the same along with listing who our favorite Star Wars character was. 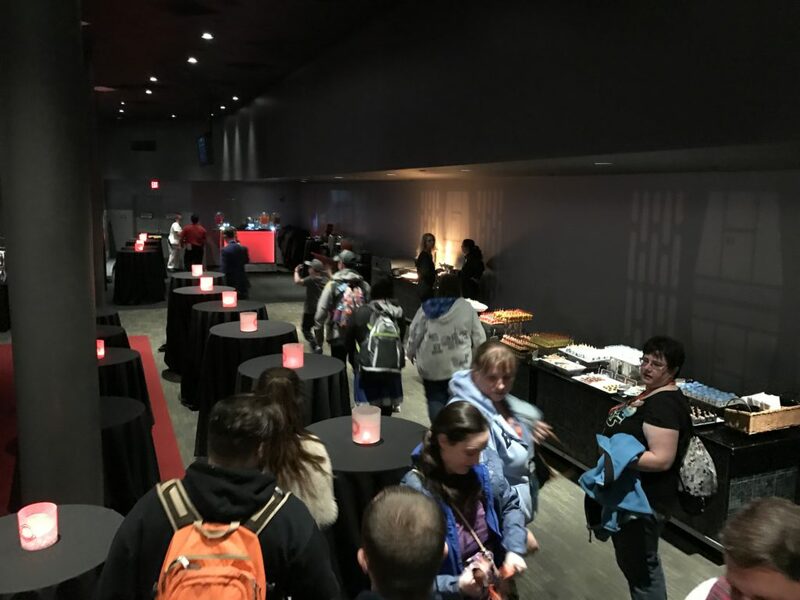 Once all the introductions were done it was off to Path of the Jedi to really get all the guests up to speed with a brief overview of all the Star Wars films… except Rogue One. To be honest, I had major concerns about how seven hours would be filled in a park that is hard to spend seven hours in without focusing on one topic, but Jason showed right away they had it all planned out. As we stood in the queue for Path of the Jedi, he shared with us the history of the building going back to The Monster Sound Show and how Foley artist, which The Monster Sound Show was all about, had to create the sounds of a lightsaber or a blaster in the mid 1970’s and that is how Skywalker Sound came to be. 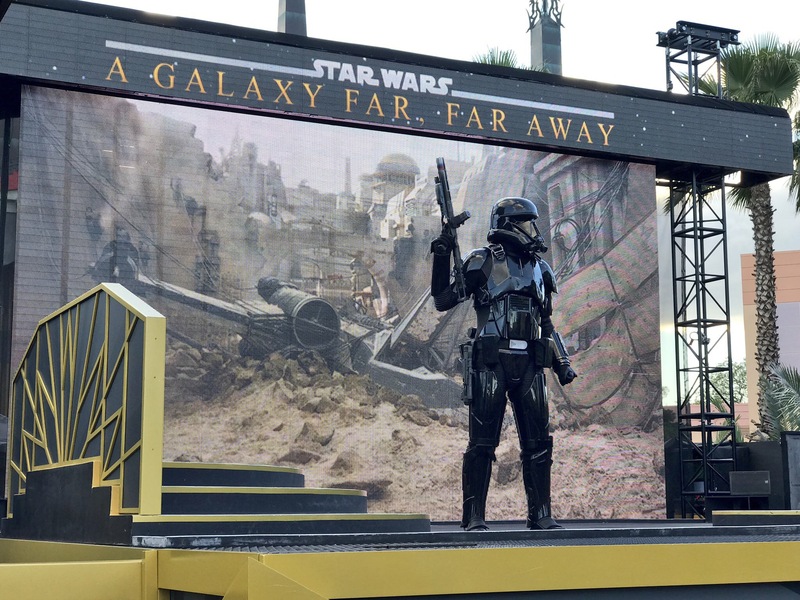 Jason went on to share a story of when he worked at Rock ‘n’ Roller Coaster and, one day when he came in, some folks from Skywalker Sound were recording the sound of the vehicle launching for use in The Force Awakens. 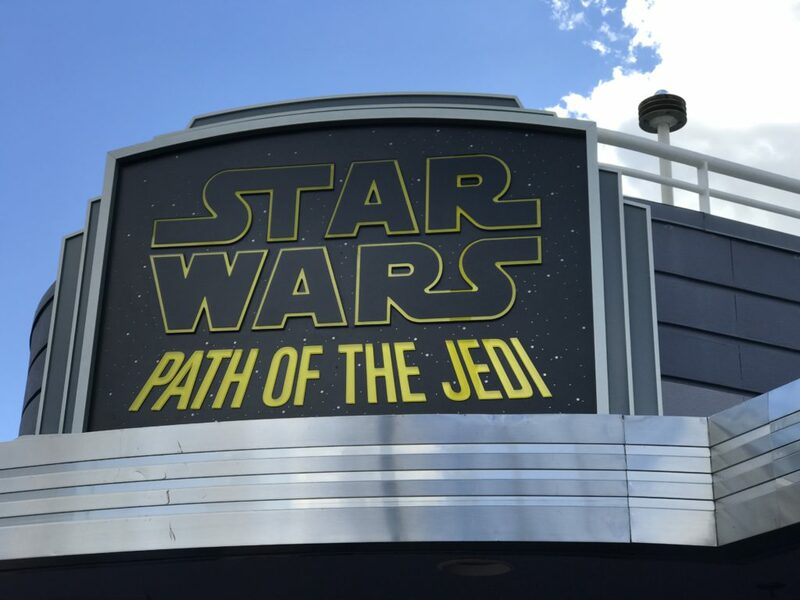 Once we were all caught up on Star Wars, the younglings of the group along with their parents were taken to sign up for Jedi Training whil the rest of us were lead back to The Great Movie Ride to see a hidden tribute to Star Wars on the attraction. 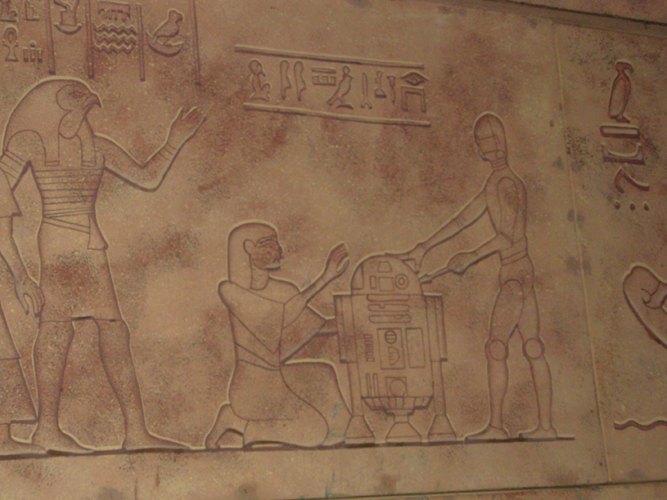 As Jason pointed out when Raiders of the Lost Ark was being filmed, a tribute to Star Wars was added in the hieroglyphs and, to stay as accurate to the film, they were copied when the attraction was built. In order to not disturb the other guests we were all sat in the back of the car and when we got to the scene Jason turned on a flashlight to point out the hieroglyphs. 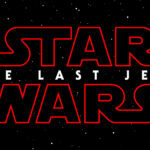 Once our adventures in the movies were complete, we met up with the rest of our group at the Jedi Training: Trails of the Temple to watch the younglings be trained. 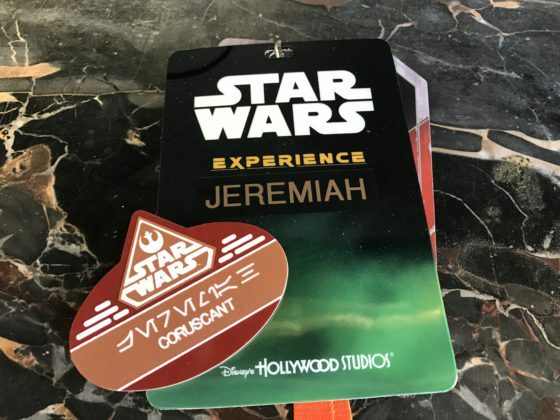 From Jedi Training, we moved right into Star Tour: The Adventure Continues. 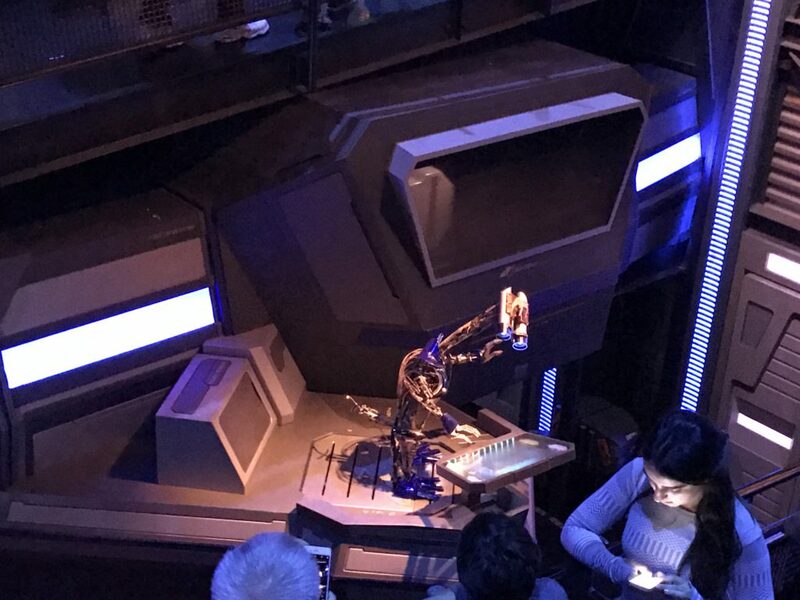 This was by far one of my favorite parts of the tour because not only do I love this attraction but we also paused to talk about the Goose Droids in the queue, where Jason shared with us the history of these two droids that tie all the way back to America Sings in Disneyland — another of my favorites. 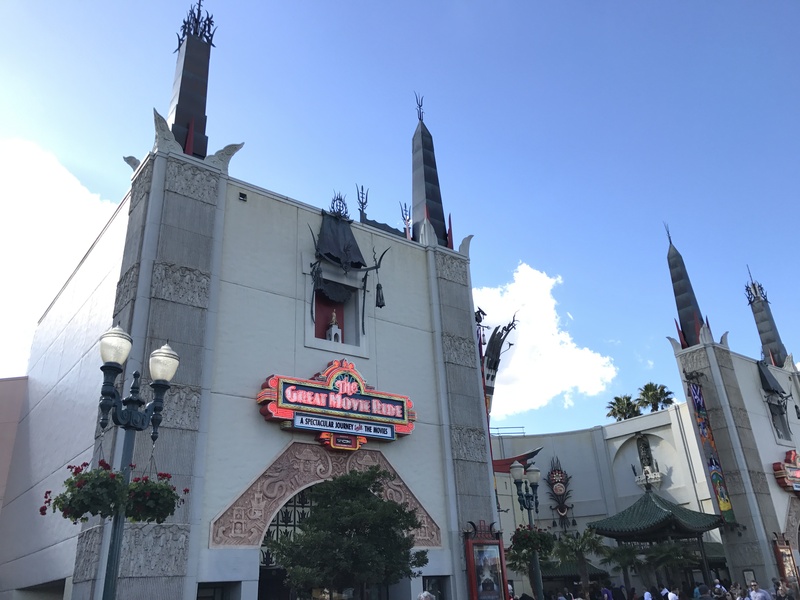 Once back in the spaceport, we headed toward Hollywood Blvd. 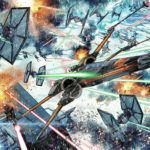 to join the March of the First Order. 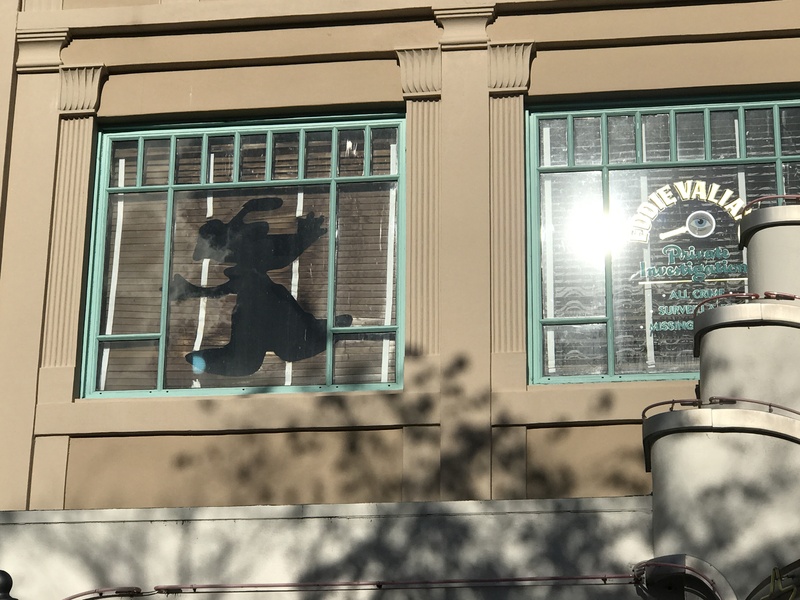 Along the way, more of the history of the Walt Disney Company and LucasFilms were discussed including ILM and some of the magic they had helped with even prior to the accessions in 2012 including Who Framed Roger Rabbit as we passed some of the tributes to that film. At the beginning of Hollywood Blvd. 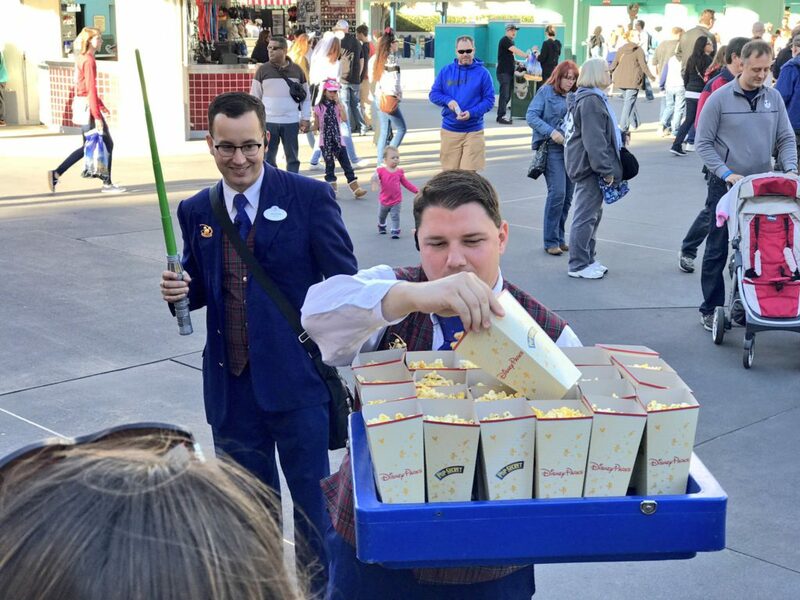 we waited for the March of the First Order and as more history of the Star Wars films were shared, we received popcorn. 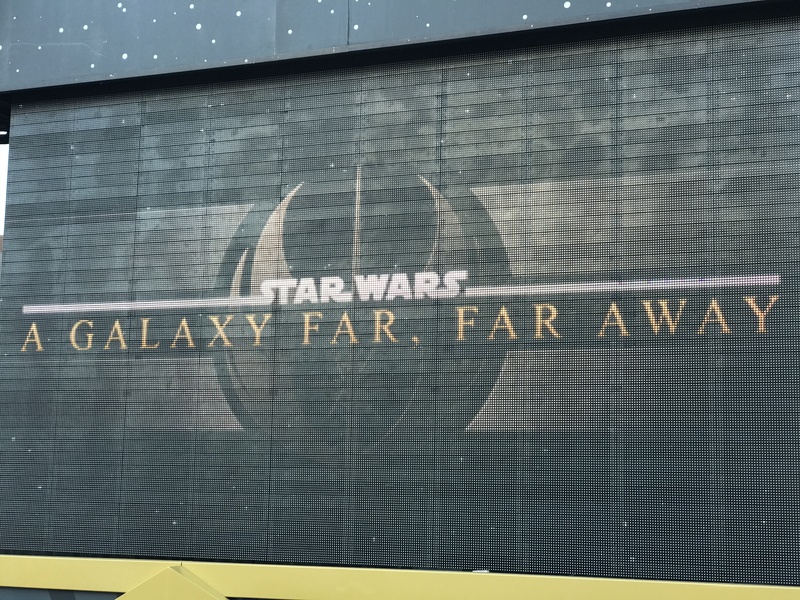 Then as we hear Captain Phasma’s cruiser land, we joined in the march down Hollywood Blvd. 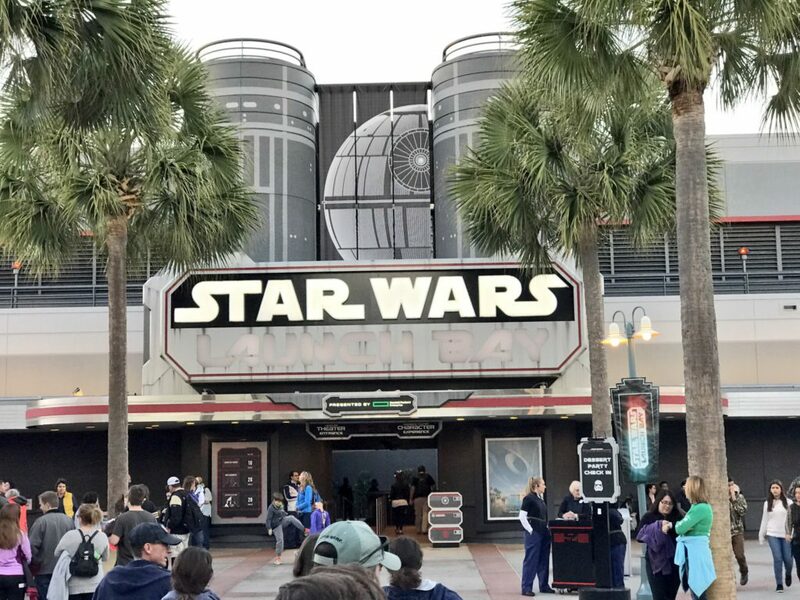 With the approval of Captain Phasma we prepare for Star Wars: A Galaxy Far, Far Away stage show with preferred viewing. 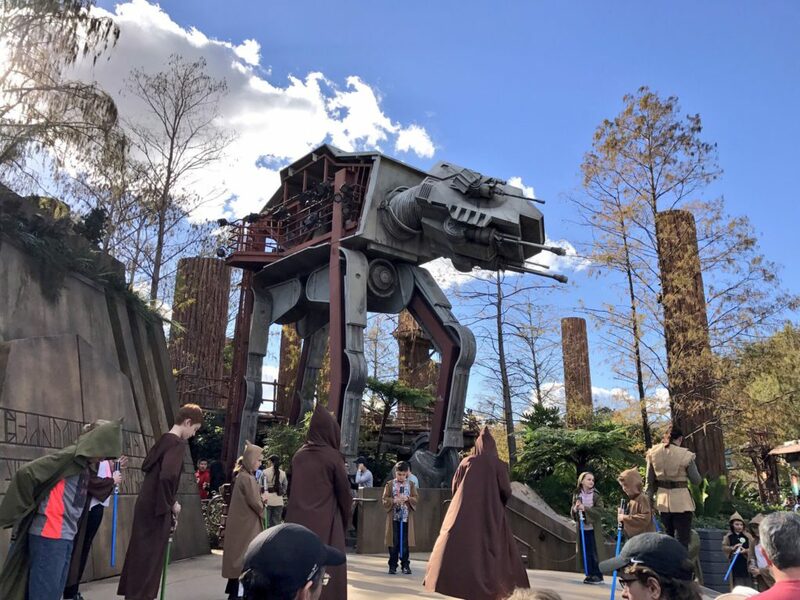 While I am not a fan of this show at all, the additions of the AWR Troopers from Rogue One did help the seeing the show again and the viewing area set aside for us was nice also. 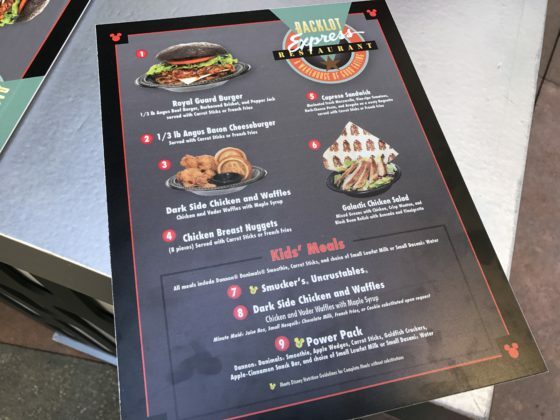 Now after nearly four hours, which flew by, it was time for dinner at the Backlot Express. 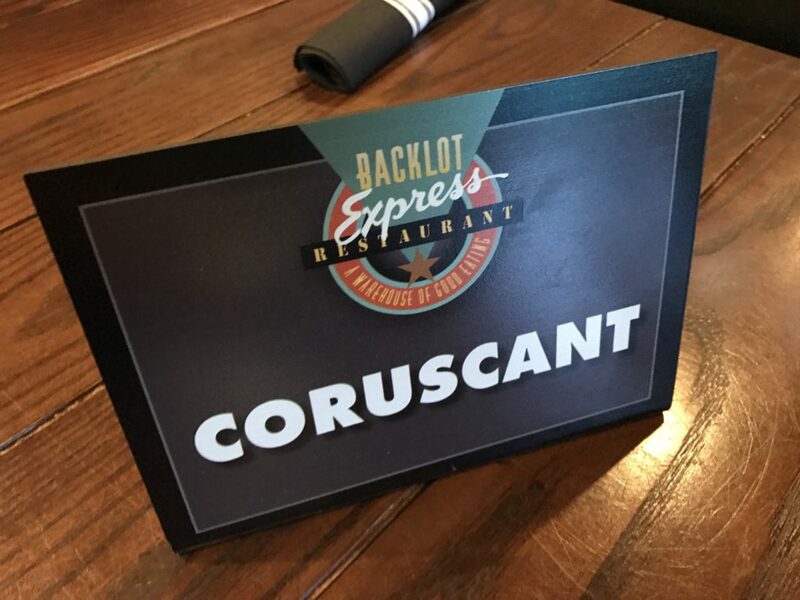 With a reserved seating for just us, they came up with a great way to assign us areas without us even knowing: each table had a planet on it that coincided with the planet on our name tags we were given at check-in. 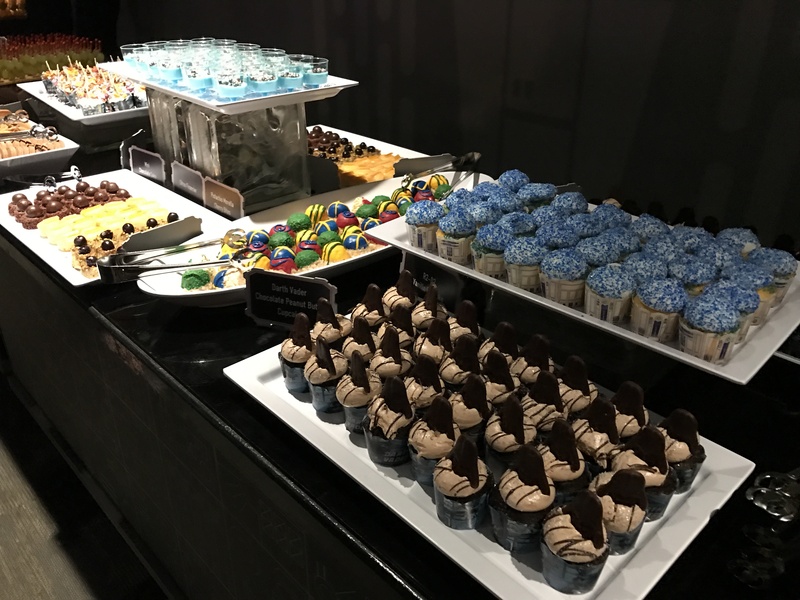 Once seated, our food was brought out to us and we had plenty of time to sit and enjoy while talking with other guests on the tour and our tour guides. 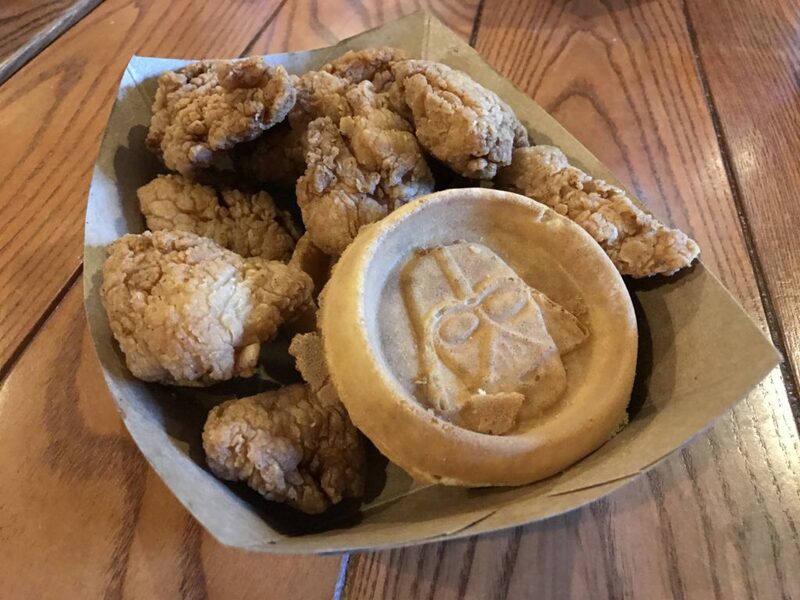 With dinner done, it was on to our last stop: Star Wars Launch Bay. After a viewing of Meet The Makers, the film about those behind the scenes that have made this new resurgence of Star Wars possible, we were given a few minute walk through of Star Wars Launch Bay before being released on our own to enjoy the Star Wars: A Galactic Spectacular Dessert Party, enjoy priority entrance to the character meet and greets, and explore on our own. 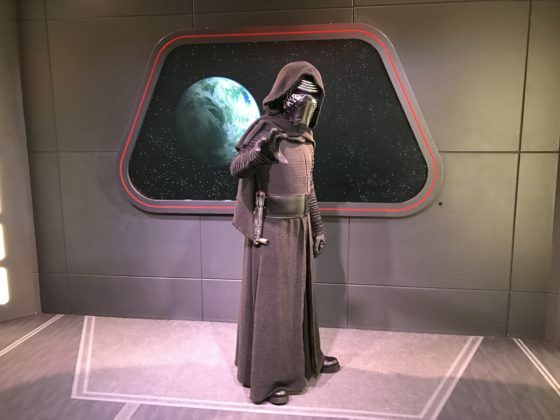 As I said, I have done many tours, but never have I been encouraged to explore on my own as was the case of Star Wars Launch Bay. Jason and Freddy were both around to answer any questions or show us one of the smallest hidden Mickey’s anywhere (for that you will have to take the tour), but it was nice to be given a bit of free time to enjoy all the props without the “this is this and that is that” type speeches. 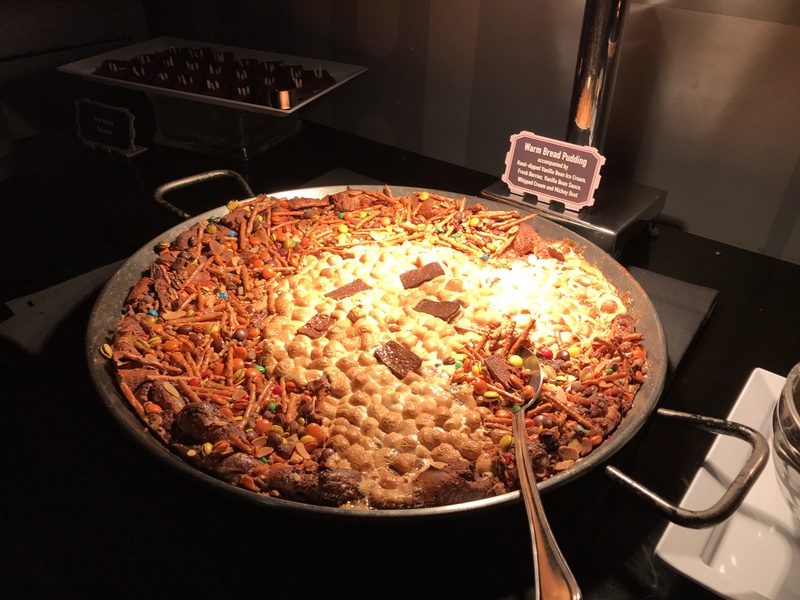 Guests of the tour we were also given “early entry” into the dessert area to get our fill before those just enjoying the dessert party were permitted in. I have done the dessert party a few times and it is lots of fun, but with it now taken place inside Star Wars Launch Bay, that added touch makes you feel even more special. 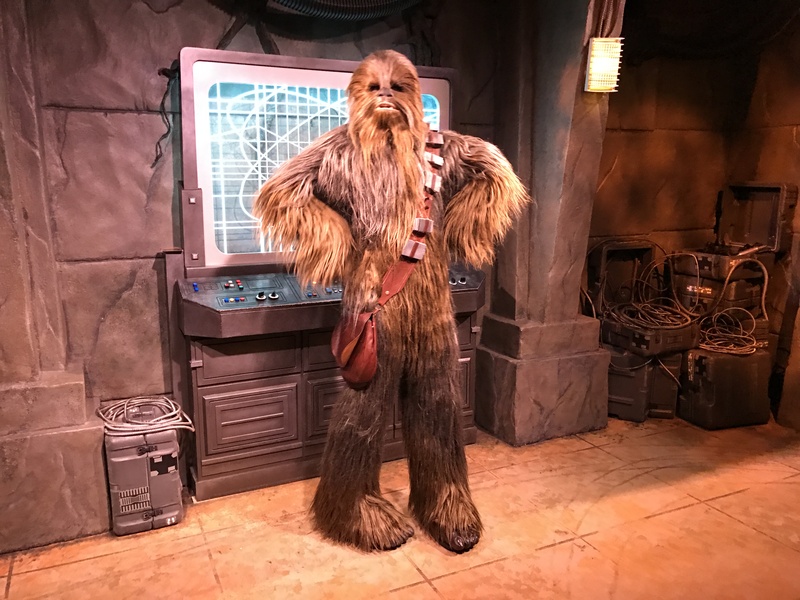 As I mentioned, the priority entrance to the characters was also nice as the line for Chewbacca at one point was over a half hour. With our stomachs as full as the Sarlacc Pit after a helping of Boba Fett, it was time to head to a reserved area for viewing of the Star Wars: A Galactic Spectacular. 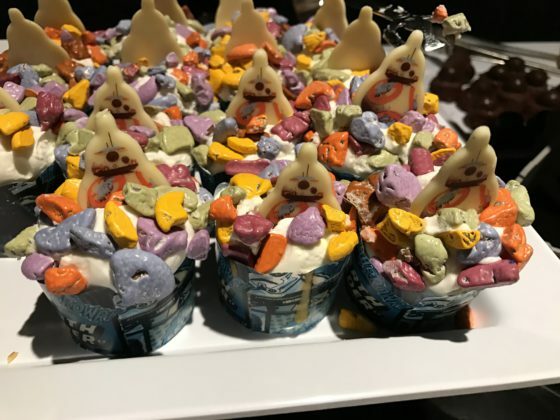 This is the same area as guests who book the dessert party but, again, because we are on the tour, we were taken out early to get the prime spots. 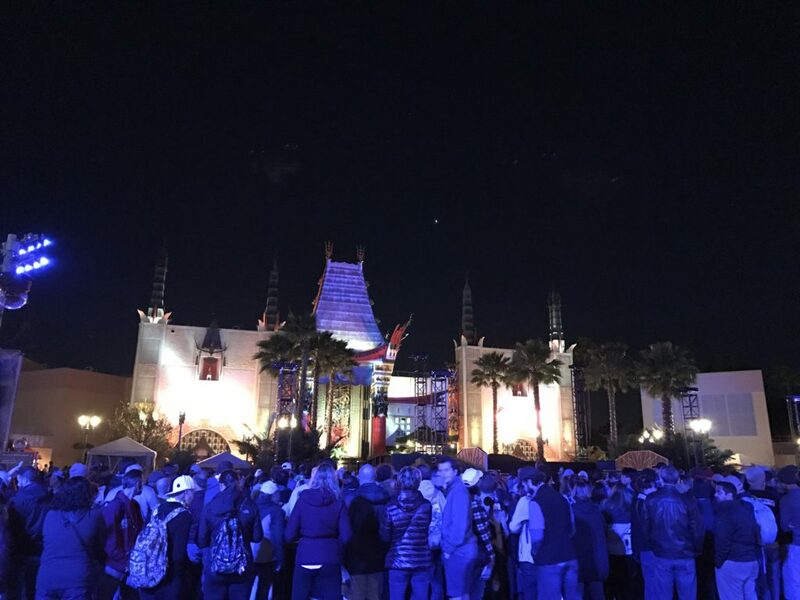 This was my first time seeing this show since the addition of the Rogue One footage and it still stands out as one of my favorite Walt Disney World nighttime shows. Final Thoughts: This tour is not for everyone. 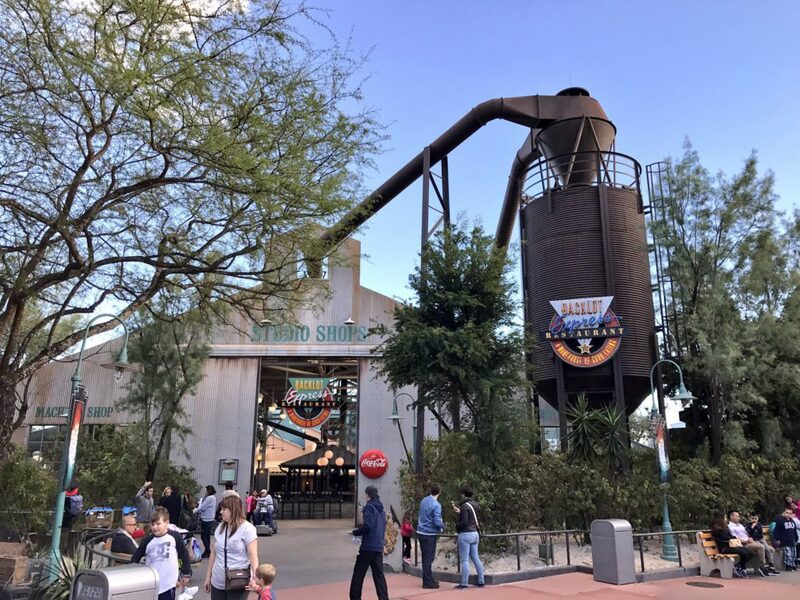 Not that it is bad — far from it — it is just not for those of us that have been on all the attractions and seen all the shows already paying $129 per person it may not have the pay off you want. This is a good tour for the newer visitors to the park or those with the younger ones that have a love of Star Wars and don’t know all the history held in the Disney’s Hollywood Studios to that film and its creator. As with every tour I have taken, the guides can really make or break the tour. 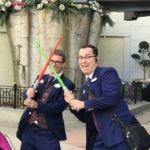 Jason and Freddy made this tour — I found myself enjoying stories I have heard 100 times over because of the passion for Star Wars/LucasFilm/Walt Disney Company they both had. I did have serous doubts about a seven-hour tour all about Star Wars, but I found myself checking my watch as it came time to part from our guides to enjoy the dessert party because really it did fly by. I may have walked away with two or three new pieces of trivia, but the average guest will learn so much from this tour they will be elevated to Yoda status when it comes to Star Wars Trivia. 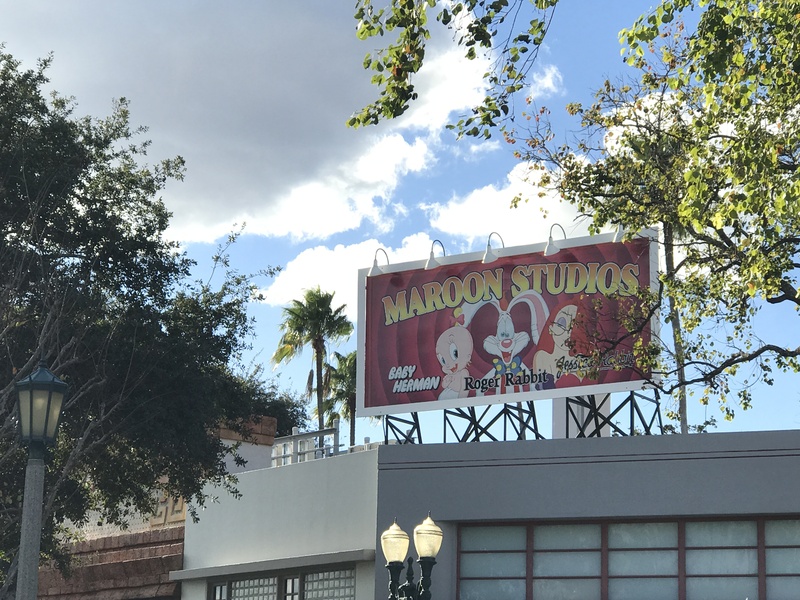 Overall it is a good tour with some great information, but only if you have a half day to dedicate to learning about a niche piece of Disney’s Hollywood Studios or, like me, are just a HUGE Star Wars fan. 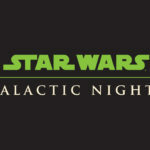 For more information and how to book click HERE and May The Force Be With You!